Looking ahead to 2019, many organizations can anticipate migrating their IT systems in order to take advantage of new technology or better service. Some are moving to the cloud. Some are migrating applications, or databases, or even switching hosts. There are also many companies who could anticipate a data migration if they were to think ahead but have not yet done so. It is important to think about data migrations early because planning ahead is particularly critical for ensuring smooth, fast migrations that deliver the intended benefits without causing a lot of headaches along the way. While a checklist is important to have, moving to a new environment is a complex procedure, and even knowing what belongs on the migration checklist requires careful consideration. Organizations that do not leave a long enough lead time for their migration project often find that they experience business disruptions or unexpected costs, even if they do everything else right. There are several reasons why. A clean data migration plan requires extensive system exploration and preparation by the company’s IT personnel, but even after the most diligent preparation, surprises are possible. Because several of the steps require the attention of IT teams or may consume a large amount of bandwidth, those steps should be carefully scheduled. Leaving enough time to thoroughly prepare, and then to deal with any unforeseeable problems that arise, is the best way to ensure a successful migration. Make 2019 your best year yet. Subscribe to the Liquid Web newsletter and get industry trends for web hosting sent to your inbox weekly. A complete and accurate picture of your existing infrastructure, including all data, hardware, software, and network components is necessary for a successful data migration plan. A full documentation of your infrastructure is used to properly architect your new environment before the migration even begins, and enables you to avoid missing anything when the migration is performed. This resource also informs the rest of the planning process. Performing a thorough discovery can also have the side benefit of uncovering potential future problems, like forgotten web applications running an unsupported scripting language. An incomplete exploration is one of the main sources of preventable problems in migration projects of all kinds. Preparation takes many forms beyond the initial exploration phase, including scheduling, communicating with staff, and technical measures such as updating the LAMP stack if necessary, along with code and plugins. The order the various steps need to be done in should become clear by the end of the exploration phase, along with how long they will take and therefore when they can realistically be scheduled for, and what needs to be updated. Migrations should generally be performed during off-hours or times when a minimal amount of business is expected. This limits the chances of a disruption, but also gives the IT team an opportunity to focus solely on the migration, and prevents the legacy environment from being overwhelmed or the network from becoming saturated. Avoid scheduling a move immediately before a critical period for your business, such as Black Friday for an online retailer, to prevent a situation in which a minor problem needs to be fixed in an unrealistic time frame and becomes a major disruption. Staff should be unaffected by migrations, aside from any changes that come with the new environment. It is still important, however, to make clear what is happening, roughly when people should expect changes to occur, and what, if anything, is expected of them. It may be necessary to create or make available documentation and have a window of time in which IT personnel can assist other staff with any initial set-up. Testing is another essential part of preparation. Because it is usually the part of the process where surprises are most likely, it can also vary significantly in how long it can take. Organizations often find that leaving an adequate amount of time to fully and properly complete the testing process is much easier if it is planned well in advance. Conducting rigorous testing is how organizations identify unanticipated issues, evaluate the effectiveness of their strategies for dealing with known issues, and confirm the many details about how the process and running in the new environment will work. That, in turn, is how a successful data migration plan is ensured. Finally, one the testing process is complete, try to anticipate the most likely challenges, issues, and complications that could arise. Come up with an answer or two for each one, and be ready to execute if the need arises. Most service providers offer to help with migrations, addressing a significant pain point for their potential customers. However, not all hosts have the combination of customer migration skill and motivation to follow through in a way that actually makes the experience as smooth as possible. The requirements for migrations are significantly different depending on what is being migrated, and the environments involved. As we previously wrote about migrating data between cPanel servers, service compatibility is the real magic of migrations. The magic spells, in this case, are the configurations and combinations of versions which will work together. This can get quite complicated. In the discovery and documentation portion of the process, your web hosts’ migration veterans can work with the organization’s IT administrators to make sure that all relevant information is identified from the beginning, so they know what to look for. They can also help estimate how long some of the steps will take, including the final move. Important details about how a particular kind of environment runs, such as ensuring quorum is established in a multi-server cluster, may be obvious to migration experts, but not so clear ahead of time to in-house IT staff in the midst of a major operation. Likewise, after helping organizations through many migrations, service providers can help IT teams anticipate some of the questions they are likely to be asked by staff. The experience service providers gain from migrating customers is only part of the expertise organizations can benefit from when making a change. Crafting a new environment to suit your business’ needs is challenging, even once you have completed a thorough discovery, and guidance from professionals who have detailed knowledge of all of the prospective new environment’s elements can be invaluable to making the right move. Likewise, the experience of experts in storage and networking, your operating system, and the particular systems you are migrating from and to can all be valuable resources during the data migration plan process. A service provider with extensive experience assisting customers in different kinds of migrations can be an invaluable asset. From exploration and creating a project plan through testing and execution, there are numerous potentially expensive pitfalls that organizations can avoid with the right help. Need a Data Migration Plan? Liquid Web has guided customers through many successful migrations of practically every kind. Contact the Most Helpful Humans in Hosting® for help with your 2019 migration. The post Planning for 2019 Data Migrations appeared first on Liquid Web. We’re the employees you would hire if you could. Responsive, helpful, and dedicated in ways automation simply can’t be. This month we check in with Wade Wachs, Director of Information and Analytics. Joe Oesterling, the CTO for Liquid Web, was recently interviewed by Gail Lobel Rand from WebsitePlanet.com to discuss the hosting solutions that Liquid Web offers to SMBs. Adrian Luna Jr. has been responsible for laying the foundation of what is now our Strategic Partner Department at Liquid Web, driving strategic direction and taking action with our partners. In 2018, many SMBs were affected by malicious attacks such as ransomware infections, which resulted in monetary and data loss. Discover how to protect yourself with a backup solution from Liquid Web. Liquid Web announces the appointment of Taylor Rhodes to the company’s board of directors. Rhodes brings more than 20 years of technology leadership including his previous role as CEO of Rackspace. Organizations that keep up-to-date with IT security threat trends are in a better position to ensure they partner with effective, professional service providers. Find out what's in store in 2019. Liquid Web partners with IconicWP to provide new functionality to the Managed WooCommerce Hosting platform. Store owners will now be able to easily adjust product options, swatches, and more. The Most Helpful Humans in Hosting live at Liquid Web. We are committed to being the most loved hosting provider on the planet, and it is possible with Helpful Humans like Tim Devlin on Linux Team. 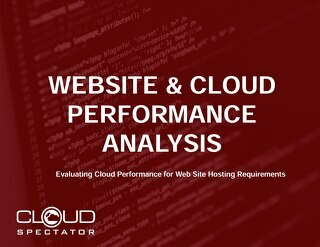 In an independent study, Cloud Spectator affirms Liquid Web's Cloud VPS outperforms Amazon, DigitalOcean and Rackspace in terms of vCPU performance. Liquid Web has added a new Dropshipping Starter Plan to our Managed WooCommerce Hosting portfolio of products, enabling customers to start new online dropshipping stores within two weeks.